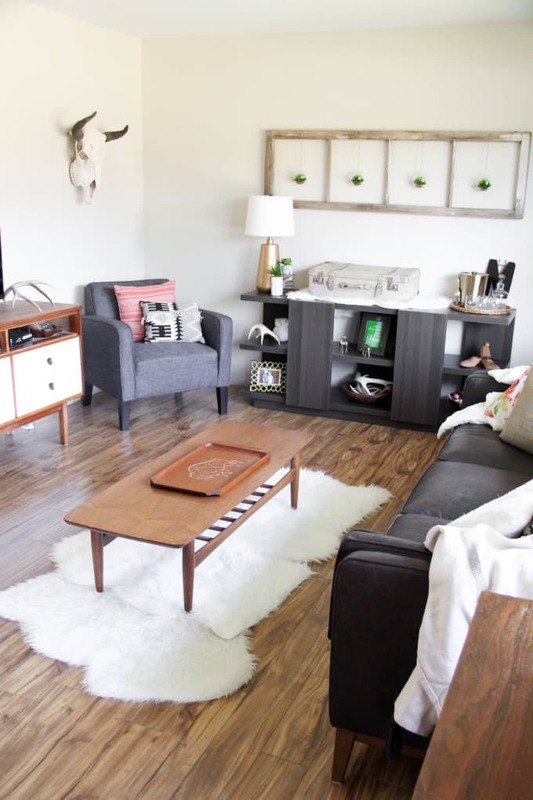 Today I’m walking you through the evolution of our retro ranch living room. 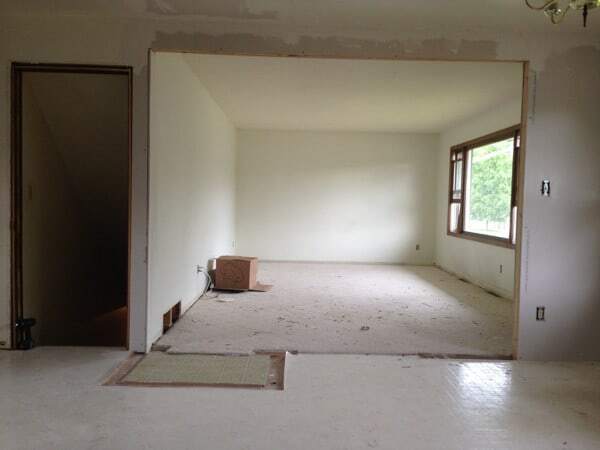 Remember about 5 months ago when we bought the ranch and I shared all the before pics? Then we opened up a wall, painted everything, and installed new flooring? Once we were done we were SO happy to finally move up out of the basement and into the light that we dropped all of our stuff into the living room and called it good. We spent another few months arguing every night over who would get the recliner and who would have to sit on the other chair. 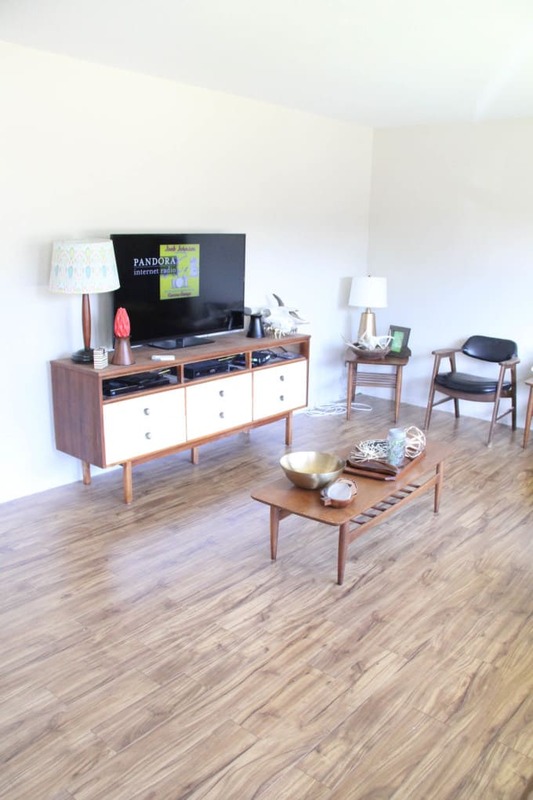 Our living room looked like the land of cast-off Mid Century furniture. To get things started I bought our Mid Century couch. Then I added two of the Sauder Ellis Accent Chairs. I also added their International Lux Console. 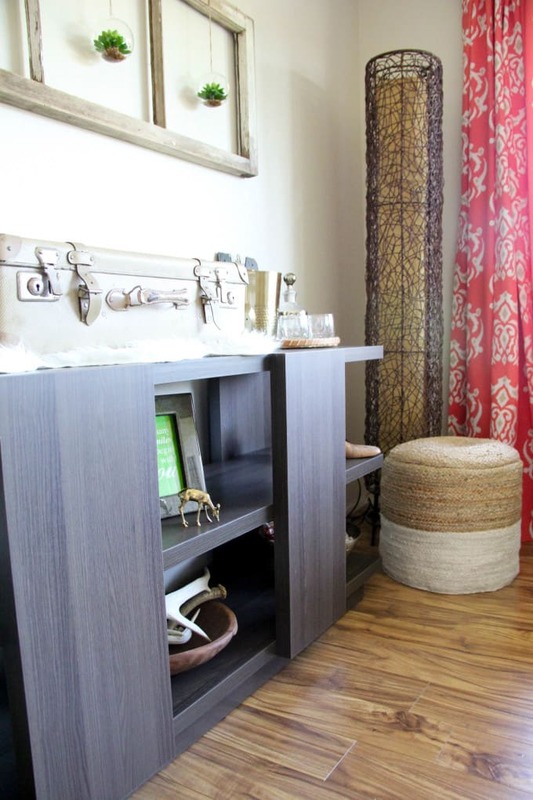 This console opened up the door for tons of beautiful staging and styling. 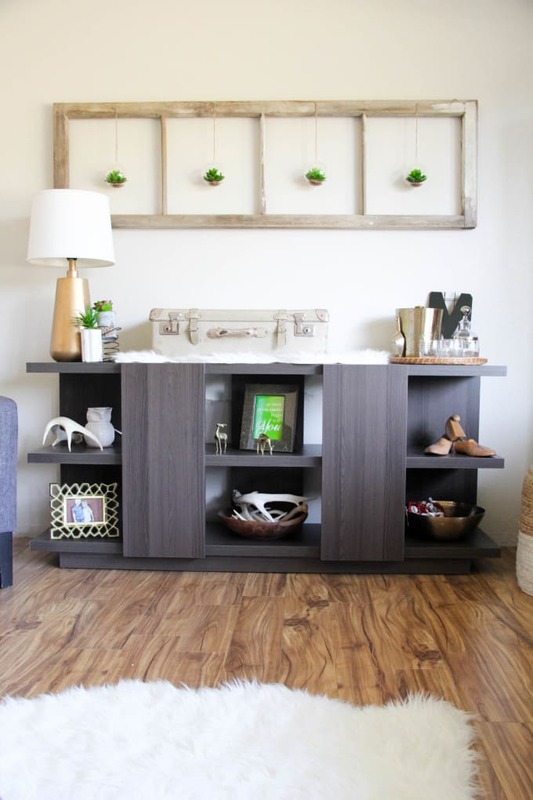 It’s open display spaces were the perfect way to showcase many of my favorite items. It also served as the perfect place to setup an ice bucket and a few glasses in place of a bar cart. 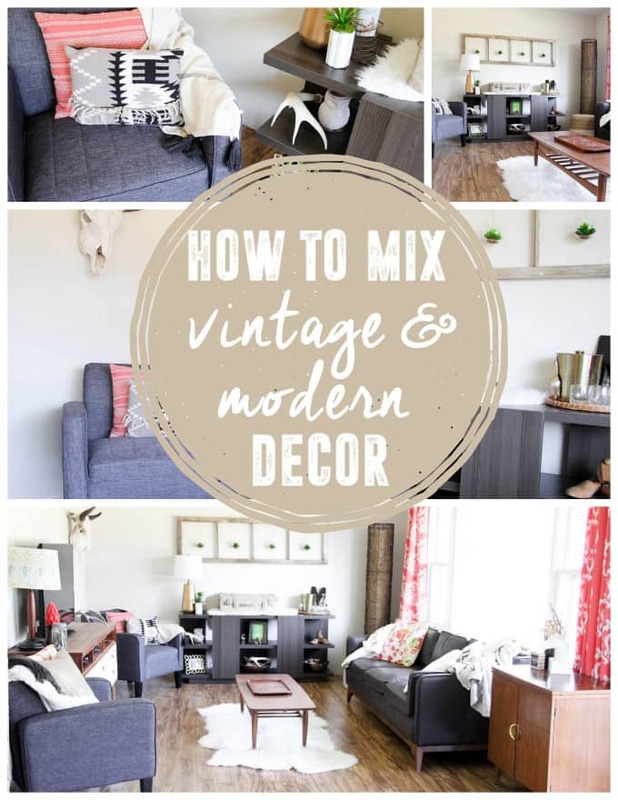 When mixing vintage and modern decor, it’s important to have an even mix of both. As much as I LOVE old furniture and vintage pieces, a home filled with all vintage pieces begins to just look dated. 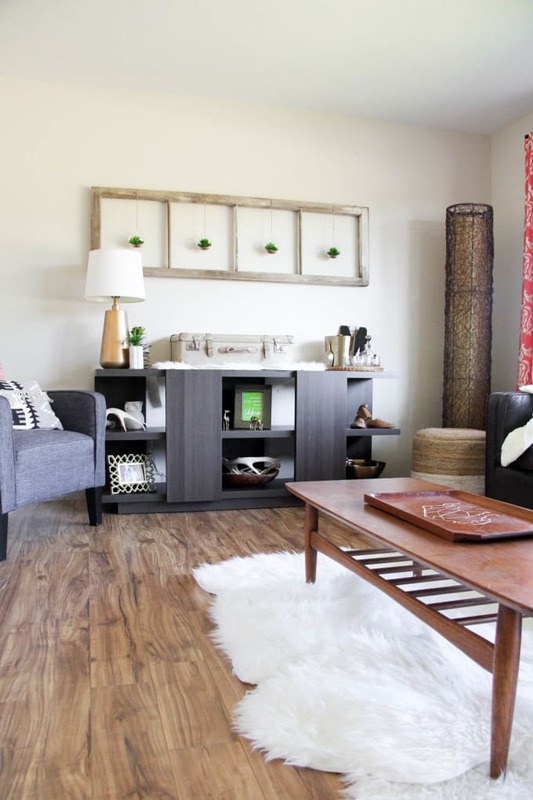 By incorporating both the room feels more updated and cohesive. The piece over the console is an old window that I grabbed at a local flea market for $10! It was missing it’s glass so I just hung it sideways and hung some succulent globes from it. It’s amazing how such a simple piece can make such a big statement. 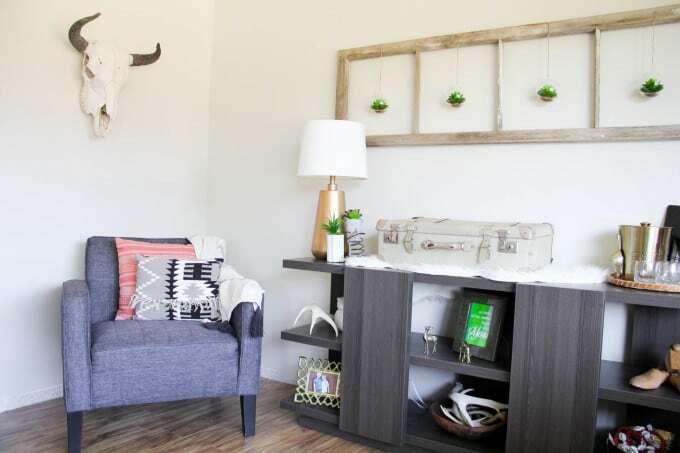 Isn’t this bull skull the best?! I picked it up at a local auction where they were parting with TONS of old taxidermy. Another auction is where I picked up most of the antlers I have staged throughout the house. Now let’s talk about this chair. 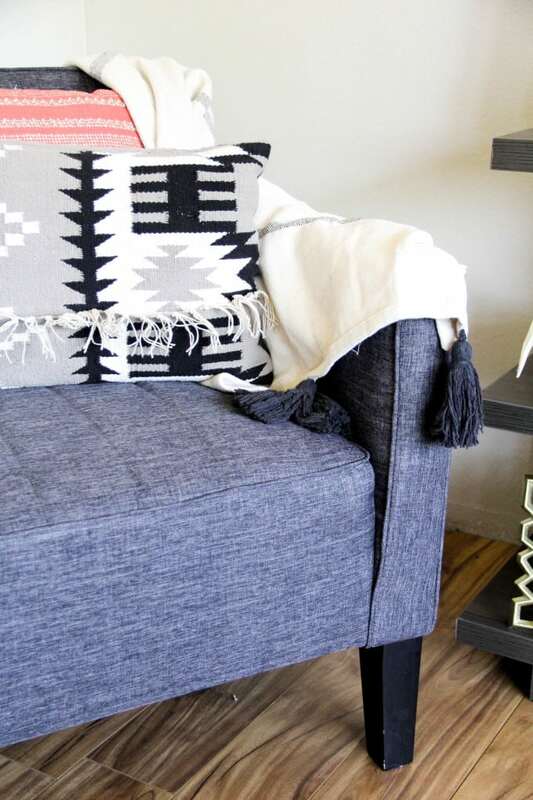 This chair is the perfect accent chair for just about any space. It’s small enough that you can tuck it in a corner, but large enough to snuggle up in. In order to make the room warmer and more inviting I just tossed some throw pillows and blankets on it. 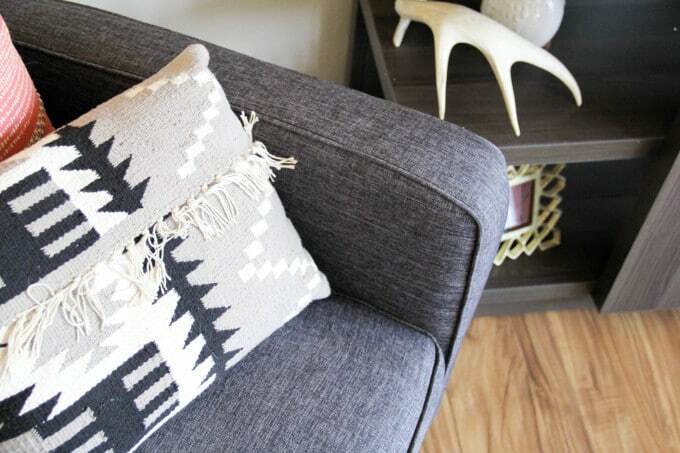 The pillows and blankets also add some texture to the room. I love how the charcoal can work with just about any accent color. In the daylight these chairs look more grey, and at night they look more black. This corner of the living room when from being unloved and collecting dust, to being the best snuggle spot in the house. Now our living room is a warm and welcoming space for our family and friends. 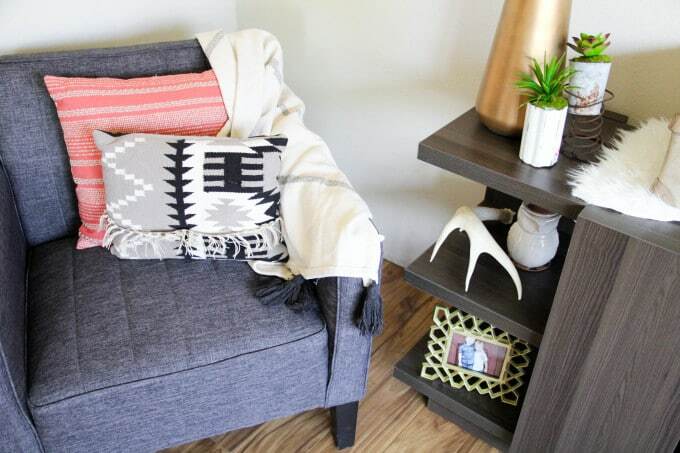 I love how with the addition of just a few new pieces it tied together the entire vintage modern look. 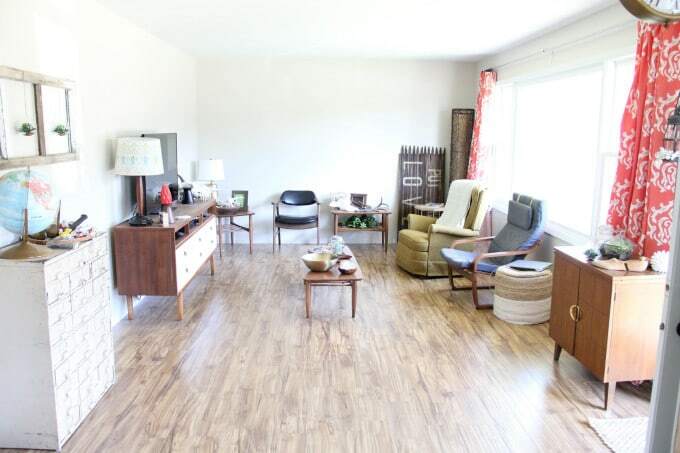 Do you have any vintage pieces that you love mixing into any room? 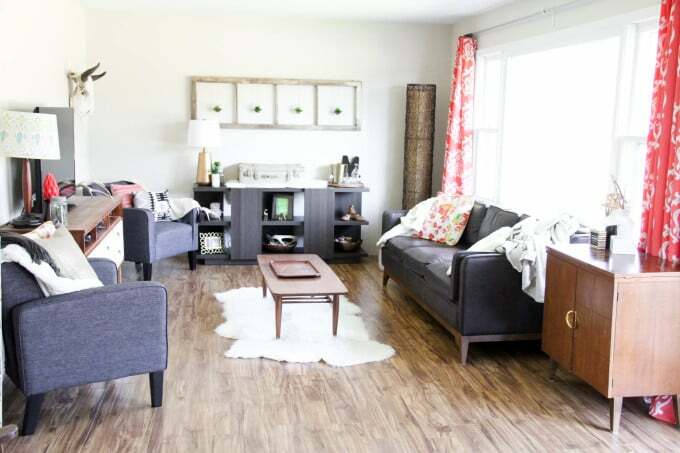 Doesn’t this room look like it’s just begging for a few friends to come over and sip coffee in?! 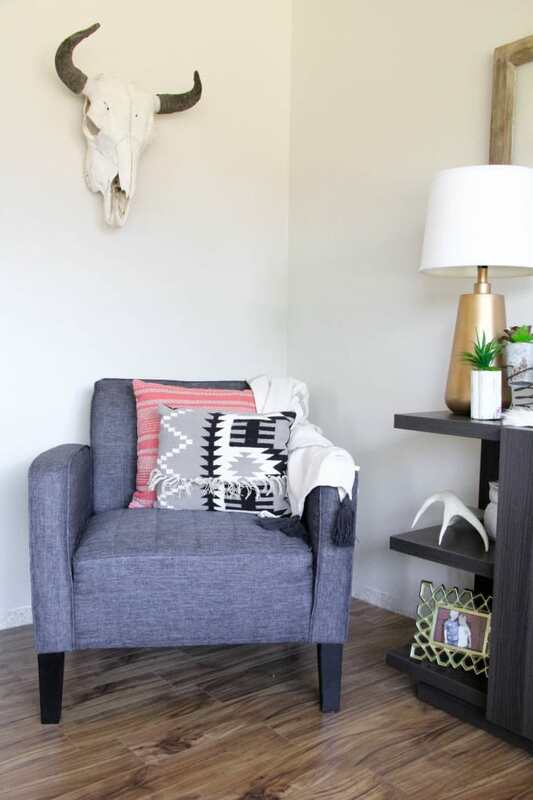 I hope this encourages you to create an inviting space by mixing a few pieces in with the old!